Citizens of Atlanta, Georgia make mistakes every day by shoplifting. People are tempted by items in stores across Atlanta that they want, but either cannot or do not want to pay for. People think that even in the unlikely event that they are caught shoplifting, the retail store probably won’t prosecute. Unfortunately, that is simply untrue. Walmart, the nation’s largest retailer, will prosecute every single shoplifter caught in their stores to the fullest extent of the law regardless of whether the shoplifted item is a bottle of nail polish or a flat screen television. Also, citizens in Atlanta, Georgia are falsely accused every day by overeager security guards of shoplifting. Security guards, looking for promotion or to secure their job, misinterpret simple mistakes or conduct and accuse innocent people of shoplifting. If you’ve gotten a shoplifting ticket in Atlanta, or anywhere in the State of Georgia including Gwinnett County, Dekalb County, Fulton County, Cobb County, or Douglas County, or in the cities of Atlanta, Alpharetta, Brookhaven, Chamblee, Doraville, Douglasville, Dunwoody, Duluth, Johns Creek, Lawrenceville, Marietta, Norcross, Roswell, Sandy Springs, or Suwanee, call us at (678) 757-5529 for a free consultation. Impact of a Shoplifting Conviction: Whether you’ve made a mistake by shoplifting or have been falsely accused, the impact of a shoplifting conviction appearing on your permanent criminal background can be devastating. A theft by shoplifting conviction can disqualify you from employment at a large range of jobs. Prospective employers don’t want to hire a candidate that they believe might steal. A theft by shoplifting conviction could disqualify you from receiving or maintaining a professional license. What Can a Lawyer Do? 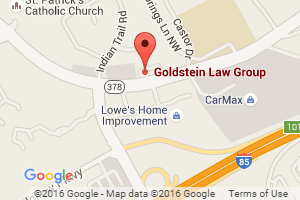 : To put it simply, a shoplifting defense attorney can do a lot. If you are falsely accused, a shoplifting defense lawyer can help prove your innocence. Even if the State has enough evidence to convict you of theft by shoplifting, a shoplifting defense lawyer may be able to keep the conviction off of your criminal record. (5) Wrongfully causes the amount paid to be less than the merchant’s stated price for the merchandise. (C) Upon conviction of a fourth or subsequent offense for shoplifting, where the prior convictions are either felonies or misdemeanors, or any combination of felonies and misdemeanors, as defined by this Code section, the defendant commits a felony and shall be punished by imprisonment for not less than one nor more than ten years; and the first year of such sentence shall not be suspended, probated, deferred, or withheld. (2) A person convicted of the offense of theft by shoplifting, as provided in subsection (a) of this Code section, when the property which was the subject of the theft exceeds $500.00 in value commits a felony and shall be punished by imprisonment for not less than one nor more than ten years. (3) A person convicted of the offense of theft by shoplifting, as provided in subsection (a) of this Code section, when the property which was the subject of the theft is taken from three separate stores or retail establishments within one county during a period of seven days or less and when the aggregate value of the property which was the subject of each theft exceeds $500.00 in value, commits a felony and shall be punished by imprisonment for not less than one nor more than ten years. (4) A person convicted of the offense of theft by shoplifting, as provided in subsection (a) of this Code section, when the property which was the subject of the theft is taken during a period of 180 days and when the aggregate value of the property which was the subject of each theft exceeds $500.00 in value, commits a felony and shall be punished by imprisonment for not less than one nor more than ten years. (c) In all cases involving theft by shoplifting, the term “value” means the actual retail price of the property at the time and place of the offense. The unaltered price tag or other marking on property, or duly identified photographs thereof, shall be prima-facie evidence of value and ownership of the property. (d) Subsection (b) of this Code section shall in no way affect the authority of a sentencing judge to provide for a sentence to be served on weekends or during the nonworking hours of the defendant as provided in Code Section 17-10-3, relative to punishment for misdemeanors.